The 17th Annual Martin and Doris Rosen Summer Symposium on Remembering the Holocaust will be held July 21-26, 2018, at Appalachian State University's Plemmons Student Union and the Broyhill Music Center. This year's symposium puts a particular emphasis on the role of music and its uses and abuses during this genocide. The event is organized by Appalachian's Center for Judaic, Holocaust, and Peace Studies and named for symposium benefactors, the late Doris and Martin Rosen. The week-long symposium brings internationally- and nationally-acclaimed scholars, authors, and educators to Boone. The event's faculty and speakers include Dr. Anna Shternshis (Al and Malka Green Associate Professor of Yiddish Studies & Director, Anne Tanenbaum Centre for Jewish Studies, University of Toronto), Dr. Racelle Weiman (independent Holocaust educator), Tamar Grinshpon, daughter of Ela Weissberger (1930-2018), child performer in Brundibar opera, Terezin. 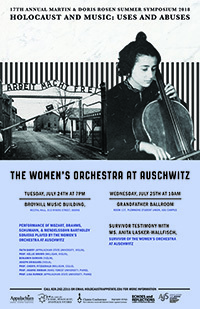 We have also invited Anita Lasker-Wallfisch (London, England), one of the last survivors of the Women’s Orchestra at Auschwitz, to speak to the participants and guests. Appalachian's Center for Judaic, Holocaust, and Peace Studies will also continue its cooperation with Yad Vashem, the World Center for Holocaust Research, Documentation, Education and Commemoration, in Jerusalem. Steffie Kaye, from Yad Vashem's International School for Holocaust Studies, will be in attendance and giving presentations. Finally, Hayes School of Music faculty and students will be joined by faculty from Milligan College and Wake Forest University in performances of Holocaust-era and post-Holocaust music, including sonatas played by the Women’s Orchestra at Auschwitz and the children’s opera Brundibar. The free and open-to-the public symposium provides public and private school teachers, university faculty, students and community members information and insights about the victims, perpetrators, and consequences of the Nazi genocide of European Jewry. 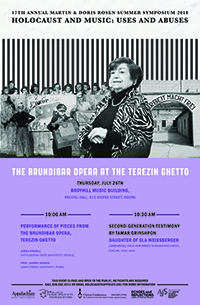 In addition, the program widens the focus to explore Jewish religious and cultural life before the Shoah. Reflecting this year's emphasis, the symposium participants will not only learn and ponder how the Nazi regime abused music as a form of propaganda and manipulation during the Holocaust. It will also shed light on how European Jews, even in German-established ghettos and concentration camp, sought to use music as a form of spiritual resistance. Contributing to the international reach and composition of the event, secondary-school teachers from Poland, Slovakia, Hungary, and Romania will be among the participants and discuss the teaching of the Holocaust in their countries. 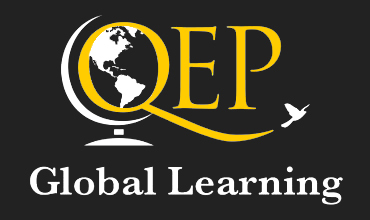 As in years past, teachers from North Carolina and other U.S. states can receive continuing education units for attending the lectures, workshops, discussions, and demonstrations. The symposium is sponsored by The Conference on Jewish Material Claims Against Germany, the Martin and Doris Rosen Endowment, the Community Advisory Board and Friends of the Center for Judaic, Holocaust, and Peace Studies, Appalachian's College of Arts and Sciences, the Hayes School of Music, the Boone Jewish Community/Temple of the High Country, Havurah of the High Country, the Ruth and Stan Etkin Symposium Scholars' Fund, the Leon Levine Foundation, the North Carolina Council on the Holocaust, Echoes and Reflections of Yad Vashem (in collaboration with the USC Shoah Foundation and the Anti-Defamation League), and the AJS Distinguished Lectureship Program at the Association of for Jewish Studies.